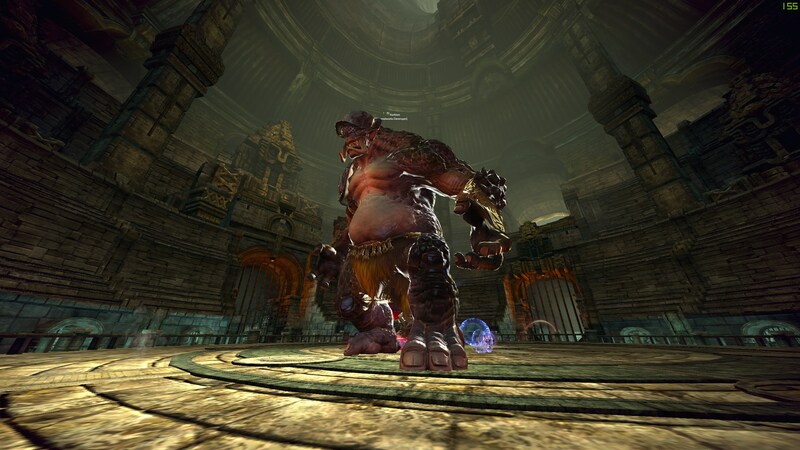 Deep beneath the Veritas District, a series of aqueducts supply water to the western deserts of the world of TERA. Ordinarily maintained by automatons, the Channelworks has been invaded by a violent cyclops, and the automatons are powerless to stop it. 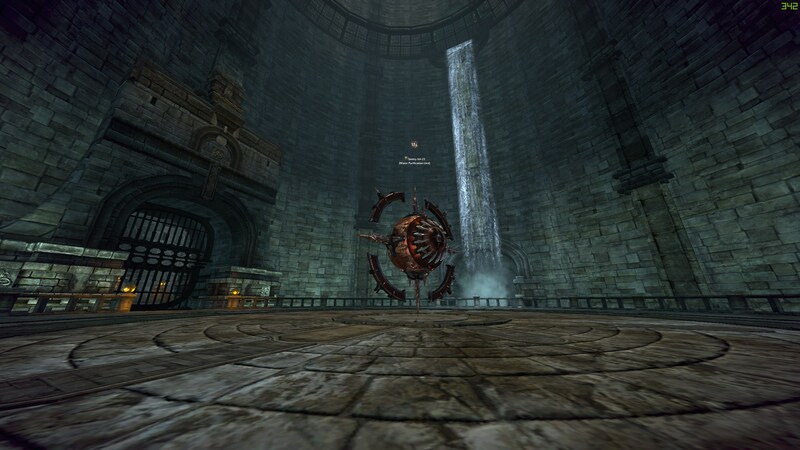 When entering the dungeon, you are placed on a higher platform. Jumping down to the boss will start the first boss battle. There are 3 boss battles with no extra normal monsters. There is a goddess buff (boon) which buffs the party members, by giving a 10 second shield, a full HP and MP regen and a free resurrection to fallen members, the applies after awhile during fights. This first boss is a stationary boss which deals damage by lasers which are ejected in front and behind of the boss. The boss can rotate however. There is a mechanic at 75%, 50% and 25% where walls will spawn (Message: Initializing Trap Mode). You must get out of the middle and behind either side of walls as the boss will spawn ghost forms of previous bosses who will deal damage to anyone in the middle section. The boss will tilt forward often, which will help you figure out where its backside is. The second boss is an Orisk and will have similar attack patterns to normal Orisk BAMs. During the battle the Plecostoma will spawn an Egg, you should kill this Egg before it hatches as failure to do so will cause mini-orisks to spawn. You will receive a warning saying “Plecostoma is spreading parasites!” this mechanic is a wide AoE around the boss and will debuff players who are hit. After 10 seconds, parasites will spawn and attack you. When challenging Kerkion (Cyclops), you will be given a tanking NPC to aid you (You must kill the lancer statue to start the fight and receive the lancer). When Kerkion is at 95% HP, two other NPC’s will spawn, a healer and a DPS, however you can only choose one. Each NPC will give you a buff: more about you. DPS: Applies a 10% increased power buff, stacks up to 10 times. On the 10th stack you’ll receive a 100% increase power buff for 20 seconds and then repeats from stack 1. You will not receive stacks when under 70% HP. Healing: Applies a constant healing buff. Tanking: Applies a 10% increased crit chance buff, stacks up to 10 times. On the 10th stack you’ll receive a 100% increased crit chance buff for 20 seconds and then repeats from stack 1. You will not receive stacks when under 70% HP. Kerkion has a high health pool and a wide range of attacks including stuns and slows. However, as long as you pick the appropriate NPC, you should be fine. At 30%, Kerkion will have decreased endurance for the remainder of the fight.